This is an adaptation of a few recipes I found. This is like a Bruschetta but using eggplant as the base. I made this for a party that was featured in Birmingham Home and Garden. 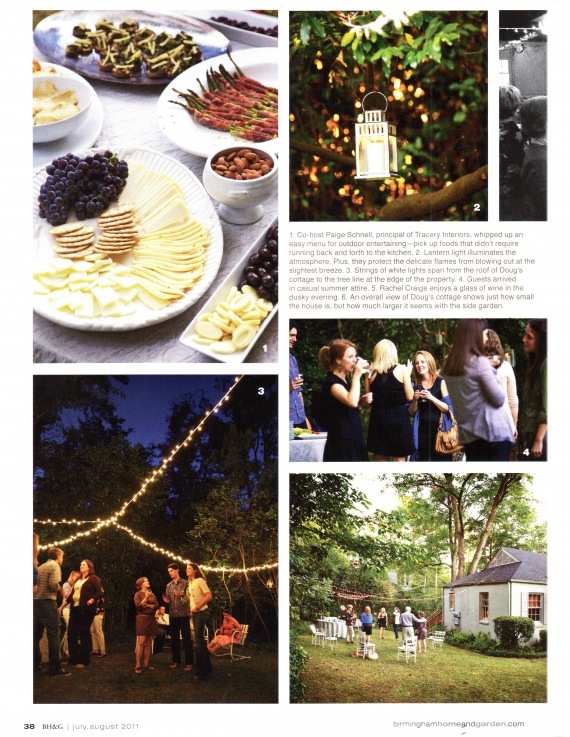 Here is the feature including a photo of the appetizers served at the party. In a skillet, heat the olive oil and sauté onion for 10 mins until caramelized. Add the garlic over medium heat for about 1 minute, but not until it’s browned. Add all the parsley, fresh basil leaves, the salt, and pepper to the pan, toss it with the garlic and oil, and cook it for 5 minutes. Set mixture aside. In the skillet, heat the olive oil, and saute eggplant 4-5 mins on each side. Top the eggplant with the caramalized mixture. Add a sprinkling of sea or kosher salt. Serve hot.